IT’S 2019 AND IT’S UNDENIABLE - INDIGENOUS MUSIC HAS ARRIVED (IN THE MAINSTREAM CONSCIOUSNESS) AND IT’S HERE TO STAY! TANYA TAGAQ. A TRIBE CALLED RED. LIDO PIMIENTA. JEREMY DUTCHER. ISKWÉ. THE JERRY CANS. ALL INDIGENOUS ARTISTS THAT HAVE FOUND AUDIENCES WITH MAINSTREAM SUPPORT, RADIO PLAY, AND UNRELENTING INDIGENOUS-NESS AND THEY’VE HELPED SET THE TABLE FOR AN INCREDIBLE 2019! Dustin in Grizzly Bear Clan from Nisga'a Nation Gisḵ’ansnaat. He’s a film student/filmmaker and was a 2018 Polaris Prize Grand Juror. For decades, Indigenous musicians, artists, and creatives have gently whispered about the oft-unspoken about, but often felt, moosehide ceiling that exists in Canada’s (and more broadly, North America) creative scene. There have been a large number of Indigenous artists that have reached Indigenous artist royalty over the last number of decades - but - most of them never break through to mainstream success. We’re going to talk about whether that even matters and what it means in an upcoming article on our website. I mean, do we NEED Canada to tell us we’re good, and that we’re worth it, and that we matter? No. We don’t. But I digress. Back to not breaking through to the mainstream. Sure. We’ve had a few outliers that have broken through and reached mainstream prominence - Robbie Robertson, Redbone, Buffy Sainte-Marie, Stevie Salas. But, by and large, the mainstream music scene has been a closed system for Indigenous Peoples. A Tribe Called Red gave the world their powwow-infused club bangers along with their melodic, globally infused musical essays of decolonization and resistance. The world paid attention. Tanya Tagaq shined a light on the world as only an Inuk could, providing us with beauty and horror, extreme joys and pain, all wrapped with emotion and complexity. Her voice shattered her way into the souls of tens of thousands of people globally just a few years ago, and the world has paid attention ever since. 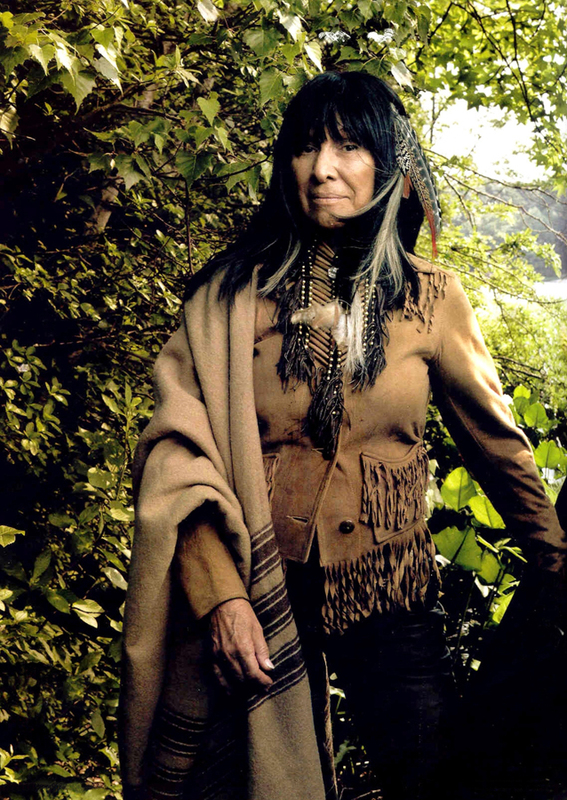 Buffy Sainte-Marie stormed back into our lives with new music and new life with digitally infused, bass pumping rhythm, all fuelled by a politically charged message that brought people from all walks of life together to make better communities. Today - we look forward to the continued evolution of these artists, along with the many others in this article. At this point though, it’s undeniable - Indigenous music has arrived (in the mainstream consciousness) and it’s here to stay! Tanya Tagaq. A Tribe Called Red. Lido Pimienta. Jeremy Dutcher. Iskwé. The Jerry Cans. All Indigenous artists that have found audiences with mainstream support, radio play, and unrelenting Indigenous-ness. HERE IS OUR LOOK AHEAD TO INDIGENOUS MUSIC IN 2019! #1. Indigenous languages WILL BE featured in MORE contemporary Indigenous RECORDs. There have been many First Nations, Métis, and Inuit musical acts that have made albums that feature their language in their lyrics. Notable examples for this include the Nicely Put Together Band - Metis Man, Winston Wuttunee - Wahiyaw Waskamihk, and The Jerry Cans - Ukiuq. In 2018, Jeremy Dutcher's album, Wolastoqiyik Lintuwakonawa, won critical and cultural appraise with a broad audience. His entire album was written and sang in Maliseet. This year the United Nations has declared 2019, “The Year of Indigenous Languages” and Indigenous communities are working harder than ever to draw attention to Indigenous language programs in their territories. Profoundly underfunded, these programs hope to garner more support and, ideally, Indigenous music can become a home base for the expression of our beautiful languages..
My first big prediction this year: we will see more genres opening up to language. My prediction may be a safe one. Already this year we’ve seen Attawapiskat’s musical rockers, Midnight Shine, go viral for their partly nêhiyawêwin (Cree) cover of “Heart of Gold." Later this year, the band Nêhiyawak will be releasing their first album which includes their language, nêhiyawêwin. Supported by a staple in the Canadian music industry, Arts & Crafts, the buzz for this album is already building - how much more cooler is it that an album featuring the Cree language is getting mainstream support?! There are other notable releases we can’t wait to hear that will likely feature their respective Indigenous languages, such as the new album from WHOOP-Szo. Ziibiwan has yet to feature singing in their records, but highlights Anishnaabemowin in their song and album titles; I expect this to continue and be more prevalent this year. Snotty Nose Rez Kids (SNRK) have an album coming out in 2019, and I bet they will have Haisla, Tlingit, Tsimshian, Kwakwaka'wakw, or Haida somewhere in their upcoming release. #2. Indigenous records will be nominated outside of Indigenous categories. Over the last few years, there has been a trend of Indigenous artists being nominated outside of the general JUNO "Indigenous Category." Elaine Bomberry and Buffy Sainte-Marie created the Indigenous Category 25 years ago, and it is fantastic they get to see the results of their hard work. I’m going to go way out on a limb here and give y’all some predictions. I am going to make some BIG BOLD predictions for the 2019 Juno Awards and we’re only three weeks into the year. Buffy Sainte-Marie will be nominated in for Metal/Hard Music Album of the Year, let's get real, who else is waiting for her to break bad? The Indigenous category at the 2019 Juno’s will see Anachnid, Midnight Shine, Elispie, nêhiyawak, Kinnie Starr, and Crystal Shawanda nominated for their highly anticipated new works through 2019! There are a lot of artists who are making music that cannot be shoehorned easily into a category, this is the year that we see more nominations in more categories than ever. #3 Indigenous supergroups will flourish, and artists will dance their way into each other's records. I’m predicting that 2019 will be the year of collaborations. There are many creatives right now doing cool things, making history before our eyes, and I predict this will continue, BUT, it’ll continue with a significant rise in collaborations. We've seen this extensively in the past with Indigenous artists like Drezus bouncing around on hip hop records and Cris Derksen lending their beautiful cello score to artists Melody McKiver and Leanne Betasamosake Simpson. You’ve witnessed mind-bending collabs on A Tribe Called Red records, and, who can forget getting Tanya Tagaq and Buffy Sainte-Marie on one song just a few years ago?! We DREAM of more of this. We WANT more of this. One collab that I’ve cooked up in my head and desperately want to predict is a collaboration between Morning Coup and nêhiyawak. Their sound isn't exactly the same, but the spirit of their music is connected. Just listen to Morning Coup - Somnium and then Nêhiyawak - Open Window. Both are sonically charged and creative. They aren't merely one genre or the next, and their creativity would flow in the music they create together. Snotty Nose Rez Kids will feature MANY Indigenous hip hop collaborations. Being on a label that has signed many Indigenous hip hop artists, you can bet that RPM will get them all together (they are considering leaving). I don't think that Drezus and SNRK are done; they will have another banger like “Savages”. I also think, similar to how A Tribe Called Red combines pow wow with electronics, SNRK will blend Northwest Coast sounds into their record. Tlingit Dakhká Khwáan Dancers (DKD) joined SNRK on stage for their Polaris Prize performance in 2018, and I believe they will be on this record. DKD has proven that traditional Northwest Coast sounds blend well with heavy-hitting bass beats with their last album, and that will translate well for SNRK. It will also solidify SNRK as a West Coast Hip Hop group which shows the world who the distinct West Coast People are. I can't talk about collaborations without speaking about Jeremy Dutcher. He will be featured with a lot of artists this year and it’s all but guaranteed that he will be heavily sought after by the music world, both in Indian country and beyond. Artist like Ziibiwan, Wolf Saga, Cris Derksen, and Melody McKiver will definitely be seeking him out for some collaboration. I can't say for sure that Jeremy will collaborate with those artists, but I believe he will be dancing within many records this year. #4. HISTORICAL RECORDINGS & SAMPLES will be more prevalent on Indigenous records. John Trudell is a celebrated leader within Indigenous communities. His speeches and poetry were given fresh life with ATCR’s, “We Are The Hallucination,” and more and more his work has been popularized in Indigenous records, spurring their use in samples and recordings in music. Nêhiyawak had nêhiyawêwin woven throughout their last effort, with the standout track, “Page,” featuring the poem, “Opitemisiwak” by Marilyn Dumont. Finally, famously, Jeremy Dutcher brought in Elder Maggie Paul from his home community of Wolastoq to talk about their people on the track “Eqpahak." This will continue and flourish this year. Indigenous musicians know the importance and significance of cultural teachers and Elders. Our musicians see the impact of having their languages and leaders being heard and included in music. It grounds their music within their home communities and supports continued growth, especially with younger generations who seek out these types of leaders. #5 Young Spirit will be a strong contender for this year’s Grammy Awards. The Grammy's have nominated Indigenous artists for a while now. It seems that for years you could always count on Northern Cree grabbing a Grammy nom, yet we’ve never seen them win. So far, powwow groups from the Prairies have been shut out of the Grammy winner’s circle. What I think will break this streak and is a safe bet, is Young Spirit taking a Grammy home. They have grown a lot over the years, and they have an explosive traditional and cultural sound. They have a strong cultural background and are an example of language preservation. Almost all of their songs are explicitly in nêhiyawêwin with a few English words here and there. Many young nêhiyawak turn to Young Spirit to learn the language by listening to their songs. Their music is an inspiration for a lot of Prairie youth. Young Spirit’s 2018 Grammy-nominated record, Mewasinsational - Cree Round Dance Songs, is a great album to start learning nêhiyawêwin from. #6. Arthur Renwick and Brendt Thomas Diabo COLLABORATION. If you do not know Arthur Renwick, he is a Haisla folk artist. Arthur has a genuinely honest voice; he plays a cigar box guitar and takes inspiration from the Bruce Springsteen's song, “Nebraska.” Brendt Thomas Diabo is an up-and-coming artist from Kahnawake who is also fighting for a genuine sound. Brendt used to be heavily into punk music (a Mohawk with a mohawk), but that doesn't mean he didn't grow up listening to country music. His sound is a throwback to outlaw country and rockabilly artists like Elvis, Johnny, and Waylon. Arthur and Brendt have been spotted jamming, and I predict something will come of these jam sessions. I am guessing their collaboration will be honest to their roots of rockabilly and folk. Raw music that isn’t overproduced is what the Indigenous country music scene is missing. #7. industry scramble to sign Indigenous artistS. This is more of a warning to our Indigenous artists. With this new wave of Indigenous people coming out and releasing incredible music, the industry cannot help but take notice. Indigenous music, arts, and culture is undeniably good - the industry HAS to take notice. This year will see many acts being signed to labels. Being signed to a label can be useful for many. Labels (most of the time) offer resources, networks of bookers/agents/management help, and rep artists to help advance careers - this is usually a good thing. All artists have to realize, this can come at a cost. We do have to be wary of, for instance, a label holding copyright over and Indigenous Ancestral Stories and Traditional Knowledge. We know many musicians are putting out music with their language and some even sharing Ancestral Stories through their music. Get yourselves a good law team and protect yourself and your community! It’s hard not to feel good about labels wanting to invest in you and your career, but, ALWAYS READ THE FINE PRINT on contracts and offers. *this is not legal advice, we’re just a blog giving unsolicited advice. #8. INDIGENOUS ARTISTS CONTINUE TO THROW “NATIVE MUSIC” ON ITS HEAD. The whole universe tries to define Indigeneity, our culture, our art, etc. into a single box. And let’s face it - it’s easier to manage that way. What the universe needs to understand is that the world is ROUND and we don’t move in boxes. Artists like Melody McKivor, Cris Derkson, The Northwest Kid, Leanne Betasamosake Simpson, Indian Agent, Mato Wayuhi, and others defy genre and boxes and instead make music that is free of definition and driven by spirit. If there was any justice in the world we’d see new releases from all of these artists this year (NWK already dropped new music in 2019), and the universe’s efforts to box us into a single genre (Native Music) would end for good. Dustin McGladrey is Grizzyly Bear Clan from the Nisga'a Nation Gisḵ’ansnaat. He’s a film student/filmmaker and was 2018 Polaris Prize Grand Juror. PLEASE NOTE: IF YOU’RE AN INDIGENOUS MUSICIAN/ARTIST - LET US KNOW WHAT YOU’RE UP TO IN 2019! We are building Indian & Cowboy to be the internet’s premiere destination for Indigenous music, arts, and culture. If you’re dropping work in 2019, we want to know about it! REACH OUT TO US ON EMAIL AND GET US UP TO DATE!